The KFC Portuguese Egg Tarts Are Surprisingly Good! When I first heard about the KFC Portuguese egg tarts, I was quite skeptical. Skeptical, but curious enough to buy a half dozen of these to try out. Surprisingly, the tarts turn out much better than expected! These creamy egg tart pastries are not to be confused with the traditional egg tarts which have a crumbly crust and an even yellow custard top. For Portuguese egg tarts, brown burn spots crater the caramelised surface (like crème brûlée). They first came about in Lisbon, Portugal, and are known there as pastéis de nata. The KFC egg tarts have a puffy pastry casing that is thick, but delightfully light and fluffy. Even hours later (I did have 6 of these to finish), the crust remains flakey and crispy. While the custard is not as soft as Madeleine’s egg tarts, it is still beautifully smooth. The egg flavour is quite apparent, tinged with the more subtle sweet taste of caramel. 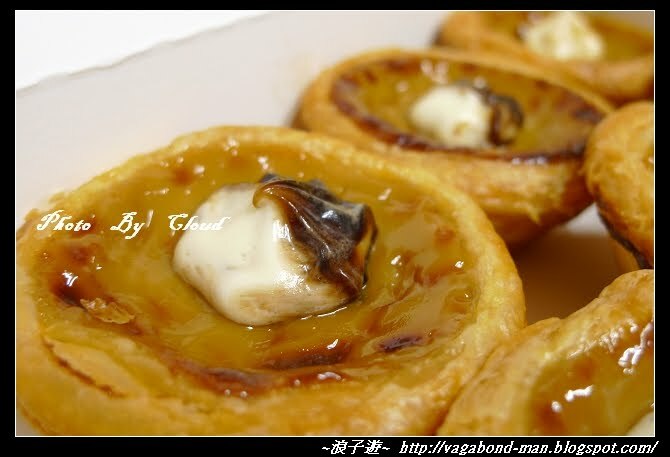 I heard that these egg tarts are available in three flavours in KFC Taiwan. Can anyone confirm this? While you can purchase the egg tarts individually, a half dozen of this costs slightly less, and are packaged in a nice carrier box with a handle on top. From the Chinese characters on the box, it seems that these egg tarts are a Mid-Autumn Festival promotion. You can also have them home-delivered in boxes of 2. I have never been a fan of KFC’s fried chicken, preferring the likes of Arnold’s and Popeyes. But their Portuguese egg tarts have certainly exceeded expectations! The KFC egg tarts are available only at selected outlets. So before you go running off to the nearest outlet, do check to make sure that the tarts are sold there. Update: Also check out my review of the KFC Mandarin orange egg tarts, available during Chinese New Year. 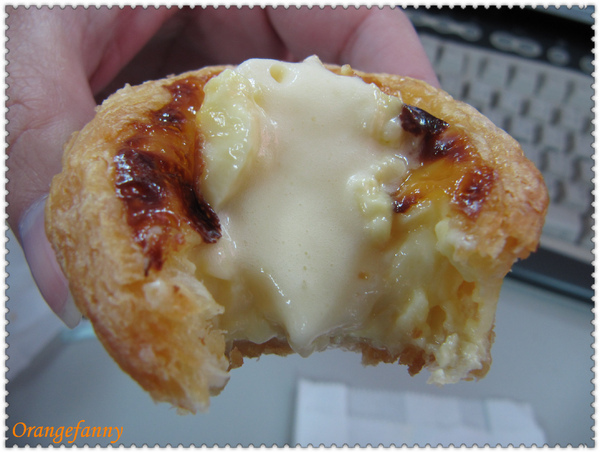 Which type of egg tart – Portuguese or the traditional – do you prefer? What is your favourite drink to go along with these tarts? Share with us in the comments! wow! should have try it earlier. “I heard that these egg tarts are available in three flavors in KFC Taiwan. Can anyone confirm this?” Confirmed! Ate them before in taiwan, it was of equivalent taste and texture/feel as well compared to singapore version. But there are 3 flavour to it, regular, custard, mochi with brown sugar. Love the custard as its like very creamy milky taste! Dont miss it when you are in Taiwan. Bought 9 pieces of it when traveling to Sun Moon Lake so that on the journey it can be consumed. Are they all done in the Portuguese style? The names make me wonder. Wouldn’t “regular” and “custard” both have egg custard in them? That mochi with brown sugar egg tart sounds intriguing! Explanation for custard, u see the pic and you will understand. A picture speaks a thousand words. Thanks for taking time to source for these photos to give everyone a better idea. Does that custard tart looks scrumptious or what? I’m so jealous that they have so many kinds of egg tarts in KFC Taiwan, and impressed that they even the lava cake! Ohhhh… Maybe, just maybe, they will bring it all in to KFC Singapore, too! Eugene left a comment with photos of 3 types of egg tarts from KFC Taiwan. http://sparklette.net/food/kfc-egg-tarts… Any chance we’re having them in @KFC_SG too? You’re right about the Mid-Autumn Promotion. Right now if you buy a box of 6 KFC Egg Tarts, you stand to win a trip for 2 to the home of our KFC Egg Tarts recipe – Macau! Sounds great! The staff did not give me any lucky draw coupon when I bought the box of 6 though.